Her work has been translated into twenty-two languages and appears frequently in Art Forum, Harpers, Granta, McSweeney's, The New Yorker, The New York Times, and Zoetrope. She is a Contributing Editor to Vanity Fair, Bomb and Blind Spot. Several times a year she collaborates on book projects with artists—among them Eric Fischl, Rachel Whiteread, Cecily Brown, Bill Owens, Julie Speed, Michal Chelbin, Petah Coyne, Carroll Dunham, Catherine Opie and Todd Hido. She was a Co-Executive Producer and Writer on David E. Kelly and Stephen King’s, Mr. Mercedes, Co-Executive Producer and Writer on Falling Water and has created original television pilots for HBO, FX and CBS and was a writer/producer of the Showtime series The L Word. Homes serves on the Writers Guild East Counsel. Additionally, Homes wrote the adaptation of her first novel JACK, for Showtime. Director Rose Troche's 2003 adaptation of The Safety of Objects marks the screen debut of Kristen Stewart. Other Homes novels currently in development include, This Book Will Save Your Life and May We Be Forgiven. A.M. Homes is also currently developing a new television project with BBC America. 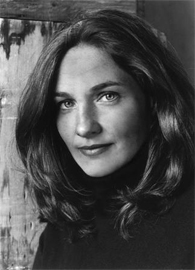 A.M. Homes has been the recipient of numerous awards including Fellowships from the John Simon Guggenheim Foundation, the National Endowment for the Arts, NYFA, and The Cullman Center for Scholars and Writers at The New York Public Library, along with the Benjamin Franklin Award, and the Deutscher Jugendliteraturpreis. In addition, she has been active on as Co-Chair of the Board of Directors of Yaddo, and on the board of The Fine Arts Work Center In Provincetown, The Writers Room, and PEN-where she chaired both the membership committee and the Writers Fund. Additionally, she serves on the board of Poets and Writers. A.M. Homes was born in Washington D.C., lives in New York City and teaches in the Creative Writing Program at Princeton.